More than 150 million vulnerable people worldwide were exposed to potentially life-threatening heatwaves last year, scientists said Thursday, warning that climate change posed an unprecedented global health risk. The warning came as the United Nations' meteorological body said that the last four years including 2018 were the four warmest on record. 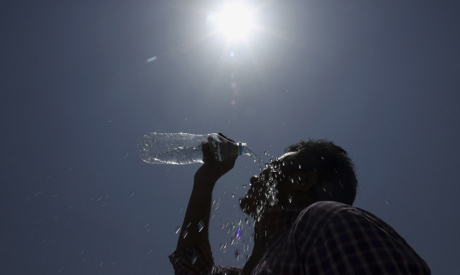 Globally, a total of 153 billion work hours were lost due to heat exposure in 2017, including seven percent of all labour time in India, the authors said, adding that the cost of keeping people safe from heatwaves was likely to balloon as our planet warms. "For a very, very long time we have thought about climate change as something that effects the environment some time in 2100," Nick Watts, executive director of The Lancet Countdown on Health and Climate Change, told AFP. "When you look at climate change as a public health issue, it really turns it on its head. It isn't just affecting polar bears or rainforests, it's something that affects communities, children, families in the UK and Europe and around the world." Watts and his team found that while global temperatures have risen 0.3C since the mid-1980s, for those most at risk of heat exposure the average temperature rise experienced was more than double -- 0.8C. This was attributed to a mixture of factors, including migration to cities -- vulnerable to heatwaves through the "urban heat island effect", as well as more extreme localised heat as climate change wreaks havoc with our weather systems. "If you just look at heat, you can see what heatwaves are doing," said Watts. "If you do what we are publishing, you end up seeing that populations are ageing, they are migrating and they are growing into the areas worst affected by climate change." Around 80 percent of all work hours lost to extreme heat were in agriculture, with India the worst hit in terms of total hours lost. Scientists in July said climate change was making heatwaves roughly twice as likely to occur by 2040. Using their varied health and climate metrics, the Lancet study authors said they had detected 18 million more at-risk people exposed to dangerous levels of heat than just two years ago. Days before officials gather in Poland for talks aimed at finalising the Paris agreement climate goals, the authors said governments were failing their populations by underfunding core health infrastructure to protect against extreme weather. They said healthcare spending to adapt to climate change increased by 3.1 percent to £11.68 billion ($14.9 bn, 13.2 billion euros) globally, which falls well short of the commitments made in the 2015 Paris accord. "When you read through many governments' heat plans they are planning for heat as it has been historically," said Watts. "Unless governments are preparing plans that take into account the fact that we are going to see a heck of a lot more of this, those plans are going to get overwhelmed."